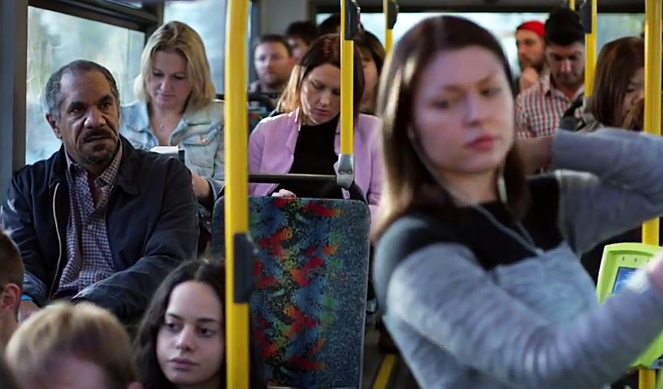 This Woman Refuses To Sit Next To This Guy, When He Realizes It, He's Blown Away! This Woman Refuses To Sit Next To This Guy, When He Realizes It, He’s Blown Away! The days of segregation in the deep South are gone and we elected our first black president of the United States… we have certainly come a long way in the last 60 years. But have our attitudes really changed? Many people throughout the world still harbor racist thinking which they pass to their children. Jokes that are told at the expense of an ethnic group that is in yours, can be quite cruel, and can perpetuate stereotypes. BeyondBlue produce the video you’re about to watch, as part of their mission to fight discrimination and the terrible hurt and divisiveness it causes across cultures. The way that it was directed and written is very powerful, as it touches on the more subtle manifestations of racism, and the terrible damage that it does to those who are victimized. Please pass on this important message to your friends and family!